Native regeneration of old-fields in the wheat-growing region of Western Australia is slow to non-existent. We compared the physio-chemical properties of three old-fields and three woodland remnants adjacent to each old-field to determine if current soil conditions are a barrier to regeneration. 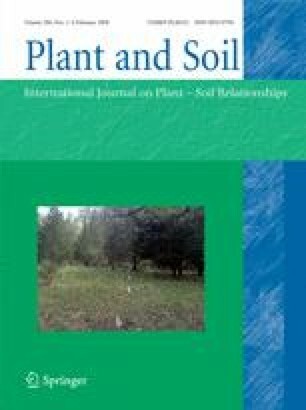 Of the variation in soil properties, 17.4% was described by spatial structure, 5.4% by land use (cultivation time and time since abandonment), 3.9% by soil type and 2.6% by vegetation and leaf litter cover. There were differences in individual soil properties between old-field and remnant soils at two sites. Soil compaction, probable erosion as evident by a higher percentage of coarse fragments, increased Colwell phosphate that we interpret as fertiliser residue and reduced organic carbon were evident in one old field, after 60 years of cultivation and 14 years abandonment. Increased Colwell phosphate was evident at the second old field, despite only 1 year in cultivation and 45 years in recovery. The third site showed no evidence of its 4 year period in cultivation 43 years ago despite similar farming practices and soil type to the second. Phosphate fertiliser residues could account for the dominance of non-native annual grasses in the re-assembly of wheatbelt old-fields.